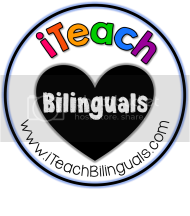 A La Escuelita: Wold Teacher Day TPT Sale and More! 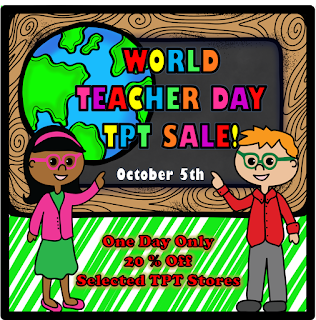 Wold Teacher Day TPT Sale and More! Fall is here! I'm so busy with so many things going on this month. To begin with, the week of October 4th-10th is Fire Prevention Week. I have created a Fire Safety unit to supplement your curriculum in both Spanish and English! Check it out! October 5th is International Teacher Day! To celebrate, my store will be on sale 20% off on Monday October 5th! I Teach Bilinguals.com page for a list of all the teachers offering great discounts in their stores. Not only can you get some great deals, you can also enter to win a $25 gift card! You won't want to miss it! 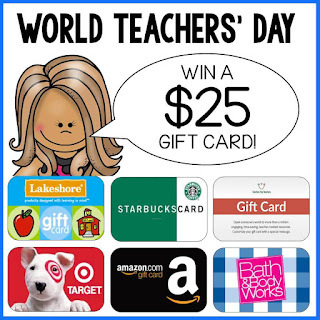 I have also created a World Teacher Day Freebie! 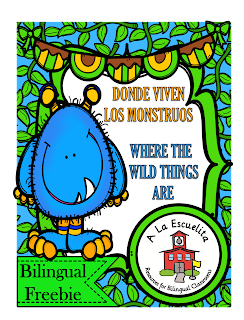 Where the Wild Things Are is a mini unit that can be used along with the book or on its own. This would make a great activity for those emergency substitute plans we always fear. Just print out the activities and place them in a folder with a copy of the book and you're set! I hope it's useful and you like it! October 12th is Christopher Columbus Day. My unit has been updated and is now available in both Spanish and English! I am in the process of updating all of my units, so far the August and September units are updated. I'm currently working on finishing up the October themes Aranas, Calabazas and Halloween. Before printing be sure to check to see if an updated version is available.